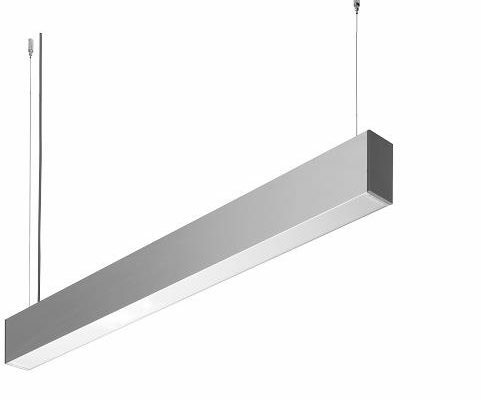 Jupiter Five LED inline fixtures – A range of highly efficient and very versatile suspended LED fixtures that can be arranged to suit the needs of the client. They are suitable for general lighting in retail and commercial applications. Complete with Opal PC diffuser . Complete with suspension kit as standard .